Hey! I wasted the entire day, and started with tomorrow's exam-preparation pretty late. On top of that, the subject is tough and the portion is too vast. So I'd thought of skipping blog today, but then I felt guilty, and so switched on my lappy for writing today's post. Okay, so coming to the post, if you have loose pages that have formulas or anything important, it becomes tough to hold them back...as they always tend to fly away. 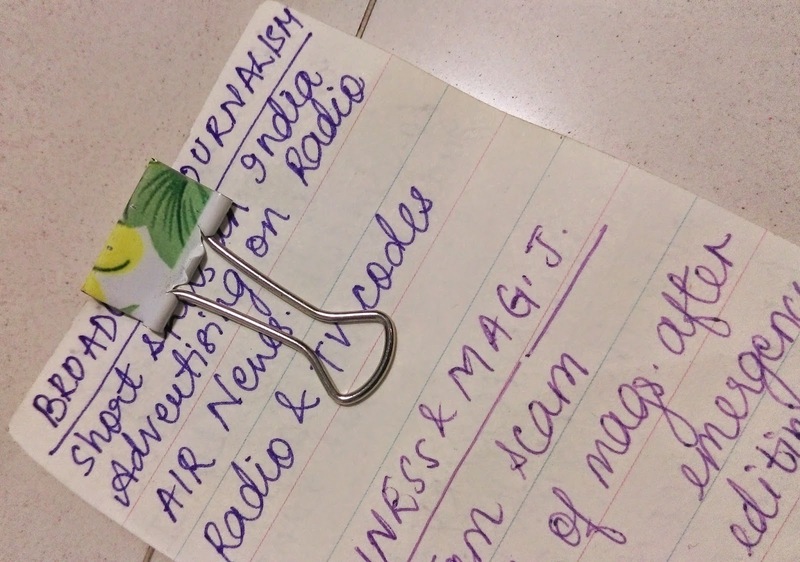 Even I have used a paper for writing something important (yes, a new post is coming on it, in two days! 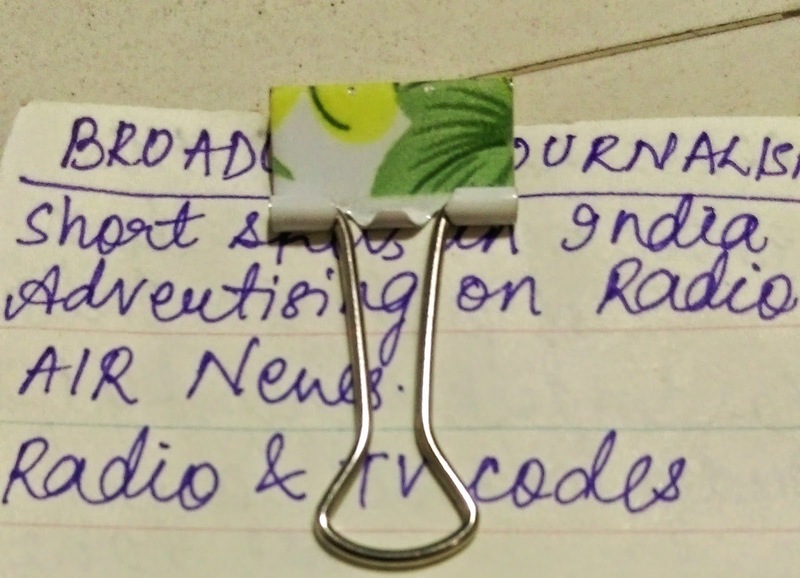 ), and then to avoid its fly-aways, I have used a cute yellow and green coloured binder clip, which acts like a paper weight. This arrangement gives your paper some weight, and also looks extremely adorable. So now, single pages are saved from flying! Yay!